A host of top bands are being lined-up to play a huge part in the newly-formed Graham Wylie Foundation‘s first major fundraising event in aid of helping inspire and educate children across the North East. 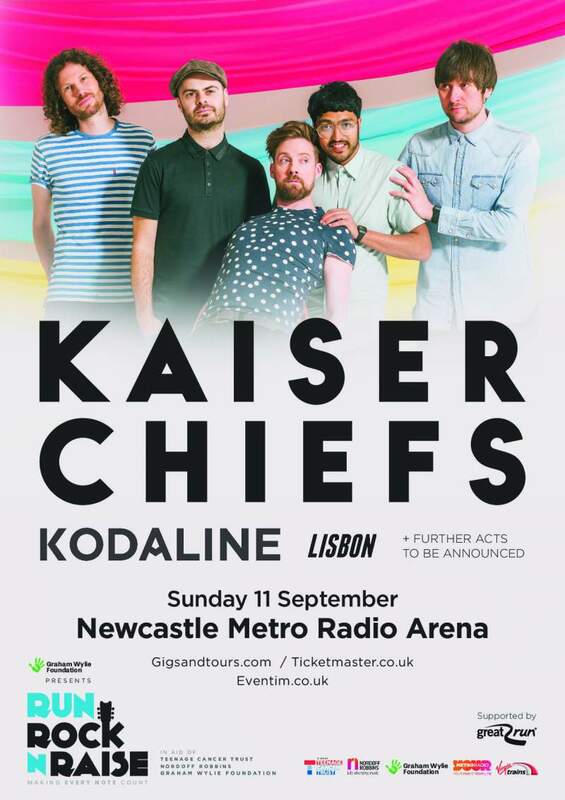 The inaugural Run Rock n Raise event features some of the biggest names in music, as bands such as indie favourites Kaiser Chiefs head to North to play Newcastle’s Metro Radio Arena on Sunday 11th September. It all happens the same day as the Great North Run, so it’s a chance for hard-working legs to take a break and kick back, until you find that extra bit of energy to get dancing to the awesome music on show. For those that didn’t take part in the Great North Run, it’s a chance to give something back too, whilst enjoying the catchy melodies of the aforementioned Kaiser Chiefs, the Irish rock of Kodaline, captivating and quirky melodies from Lisbon and a whole lot more. The mammoth venue is the perfect host to such a good cause, as are the bands more than capable of making this huge gig feel like something very special indeed. With so much to be raised for a worthy reason too, it’s well worth snapping up your ticket early. Run Rock n Raise featuring Kaiser Chiefs takes place at Metro Radio Arena, Newcastle on Sunday 11th September.